After a couple more years of living with Instant Pot, my old list of recommended tools has been overdue for a do-over. 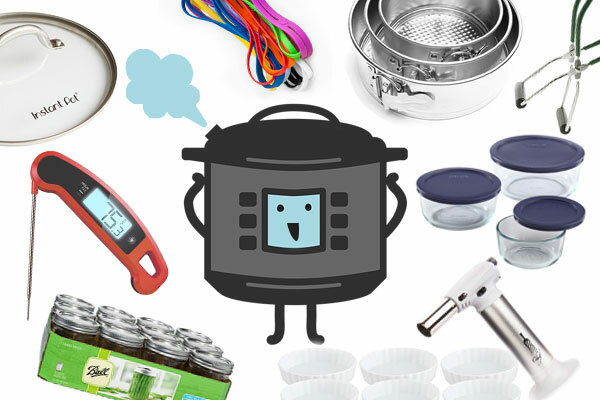 If you need a last-minute gift for the pressure-cook in your life – or if you’ve been recently bestowed with a fancy new multi-cooker, and perhaps an Amazon gift card burning a hole in your pocket – read on for the tried-and-true stars of my pressure cooking toolkit. Let’s begin with the basics. The electric pressure cooker market has expanded a lot in the past few years, but I still stand by Instant Pot as a high-quality brand. The model I have is the original 6 quart DUO, which is no longer the best choice for purchasing new. If I were shopping again, I would choose the Ultra, which can do customized temperature settings and has a couple of new programs, and at the time of this writing is only marginally more expensive than the current basic model DUO Plus. Maybe I will upgrade someday, but my first Pot still going strong! Next, the all-important category of Things To Cook Things In. A simple steamer basket is cheap and infinitely versatile – I especially like to use mine for “double decker dinners” like this coq au vin topped with a basket of potatoes steamed at the same time. I was persuaded to pick up a set of Pyrex bowls by a reader of my last post about tools for Instant Pot, and now I love having them in my kitchen! You can use them for “pot-in-pot” cooking which I’ve been experimenting with a lot lately (stay tuned for more double-decker action!) and they’re obviously great for storing leftovers too. That old post was also responsible for bringing a mini-springform pan into my life, courtesy of my sister who scoped out the comments and knew I would love playing with Instant Pot’s star dessert – cheesecake! I love this set from Fox Run, which includes 7-inch, 6-inch and 5-inch IP-friendly sizes all for a bargain price. A nice extra to go along with those pots & pans are these jumbo silicone rubber bands. Wrap one around your vessel before cooking, and when it’s time to pull out the hot stuff, you’ll have something to hook onto. No need to craft a wasteful foil sling like you see in recipes sometimes! 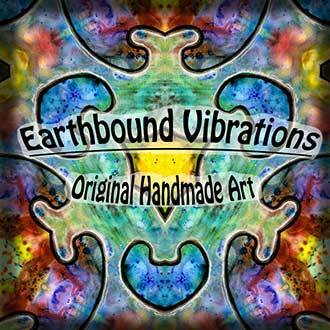 I learned about them and ordered mine from Jill Nussinow, fellow RD who sells 3-packs for $5 on her website. 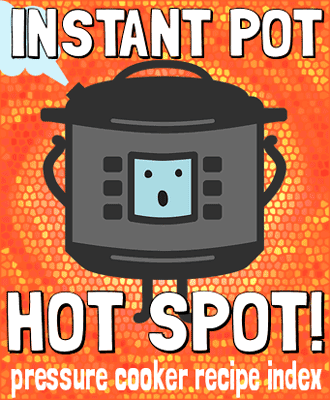 While I’ve never made time to write up my own yogurt tutorial, I still think it’s one of Instant Pot’s coolest features. It’s the only appliance I know of that not only holds a steady warm temp for your culture, but also makes it easy to scald the milk beforehand in the same vessel. To skillfully manage this heating and cooling, you need a thermometer. I’m happy to report that last year, I finally discovered an instant-read thermometer that I truly love. After suffering through a parade of slow and unreliable cheap units, I moved to the big leagues with Lavatools Javelin PRO and never looked back. It’s an investment, but so worth it. If you don’t want to culture your yogurt directly in the Instant Pot liner, you might like to pick up a case of wide-mouth pint jars and a pair of canning tongs to pluck them out when they’re hot. And while you’re at it, why not treat yourself to a variety pack of heirloom starter cultures? Finally, a recent revelation… Move over, cheesecake – you’re not the only dessert in town with an affinity for high-pressure steam. I’ve learned that Instant Pot can also create the perfect cooking environment for another fancy sweet: creme brulee! OK, now it’s your turn again – any hot tips for my next upgrade?